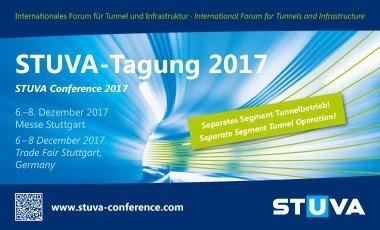 The STUVA Conference, the international forum for tunnels and infrastructure, has really become a must on the agenda of committed tunnellers and tunnel operators. The next STUVA Conference will be staged in Dortmund from December 1 to 3, 2015. 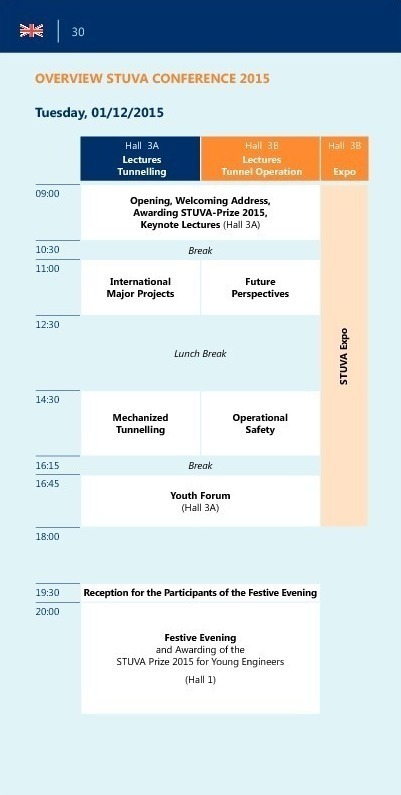 More than 1500 experts from over 20 countries will ensure that the STUVA Conference is transformed into the most important get-together of all for underground construction. 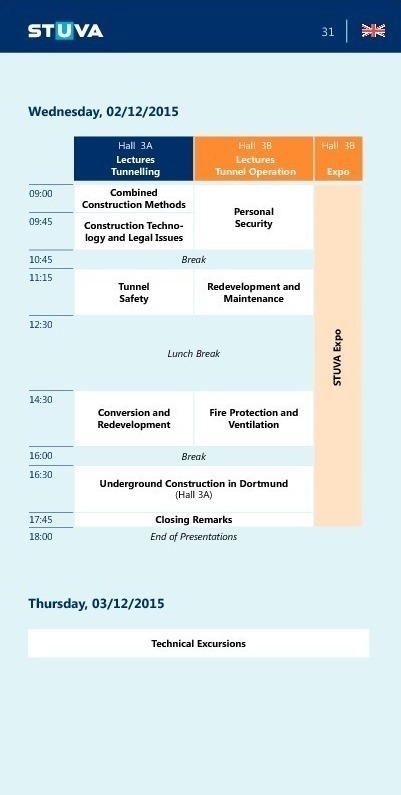 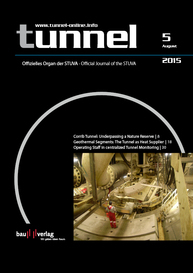 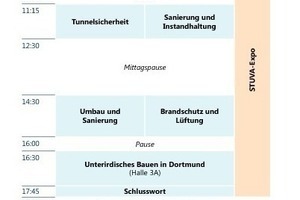 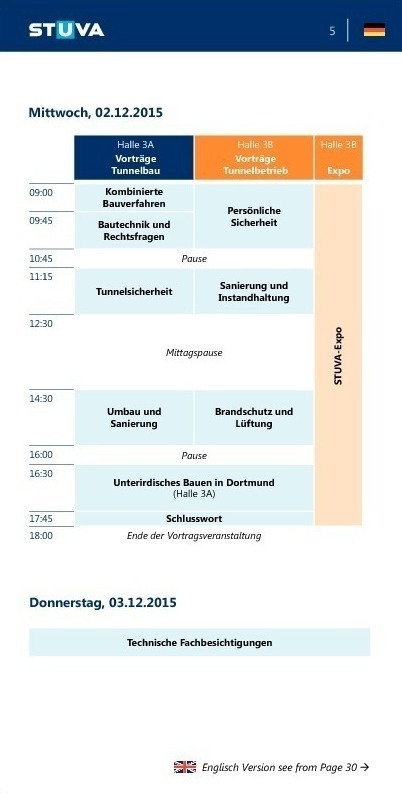 In 2015 the “tunnellers’ family gathering” will present a more varied programme than ever: for the first time, an additional parallel series of lectures will deal with “Tunnel Operation” in addition to the traditional “Tunnelling” series. 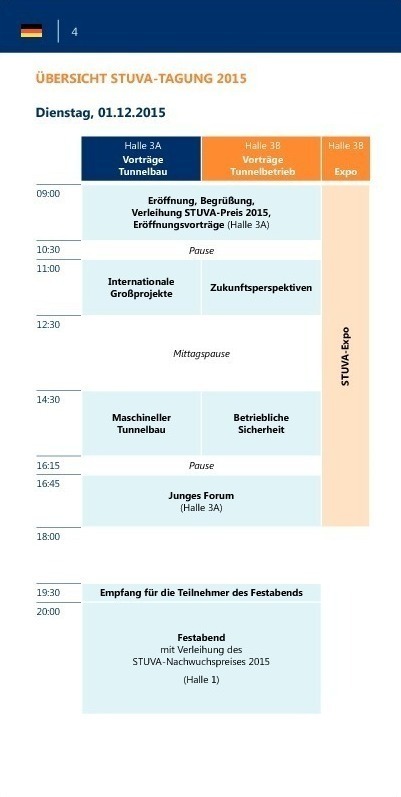 The German Federal Ministry for Transport and Digital Infrastructure (BMVI) and the German Federal Highway Research Institute (BASt) also recognize the outstanding significance of the STUVA Conference. In conjunction with the German Tunnelling Society (DAUB) and the International Tunnelling and Underground Space Association (ITA) these institutions sponsor the STUVA Conference. 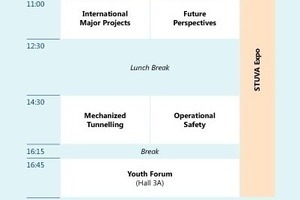 The programme presented on the following pages provides the basis for an intensive exchange of views on the industry now and in future. 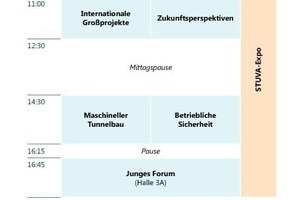 The Conference is fringed with an exhibition, which has grown to provide more than 150 domestic and foreign companies with a professional marketing platform occupying an area exceeding 6000 m². 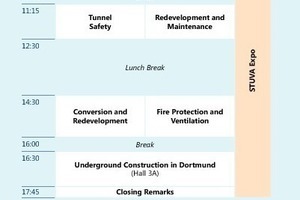 As we went to press the amount of space reserved exceeded that leased at the 2013 Conference by 20 %.